Weekly Indian Football Transfer Round-Up! There has been a lot of movements in the Indian football transfer market as the ISL Draft awaits players on 23rd July. As this year’s Indian Super League (ISL) and other domestic tournaments such as the Calcutta Football League (CFL) are coming up, Indian clubs are keeping busy in the transfer market to ensure a healthy outing in the respective tournaments. Khel Now takes a look at the transfer activity done by the clubs in recent times. Bengaluru FC have signed two of Australian A-league players, both offering the side immense depth in the midfield. With Erik Paaltaru and Dimas Delgado, it is clearly gaugable that the JSW-owned side will look at Sunil Chhetri to provide inspiration in the attacking third. Bengaluru FC will slowly buy a certain goal-scorer in the ISL draft or will buy some foreigner in the same bracket. FC Goa, too, have made two foreign signings. After securing the services of former midfielder Bruno Pinheiro and Manuel Arana. The ISL club have retained the services of Laxmikant Kattimani and Mandar Rao Dessai as well. East Bengal started their transfers early as they quickly roped in Aizawl FC’s I-League winning manager Khalid Jamil as well as four players from the Northeast club and one from Churchill Brothers. The Red-and-Golds have also roped in Laldanmawia Ralte, a winger from the I-League winning club. The Kolkata giants have also signed their third and final foreign player, Trinidad & Tobago international Carlyle Mitchel for the upcoming CFL. The club also decided to retain Willis Plaza for the tournament which will see him starting in the CFL alongside Mitchell and Mahmoud Al-Amna this year. The Red and Gold brigade recently signed two Indian defenders in Salam Ranjan Singh and Tanmoy Ghosh from Bengaluru FC and Mohun Bagan respectively, who will be vital for head coach Jamil in his first tournament with the club. Gabriel Fernandes is another new name on the block after the winger signed for the century-old club. East Bengal also secured the services of Kerala duo Jobby Justin and Mirshad in attack and between the sticks respectively. However, the addition of Surabuddin Mollick also bolsters their options upfront. East Bengal have also signed a handful of other players as well for the upcoming season. Rahul Ghosh, Deepak Kumar, Keshab Sarkar, Yani Longva, Suranjit Singh, Tetepuia, Prakash Singh and Vidyasagar Singh are players that have joined the club for the forthcoming season. Mohun Bagan started their transfer activity a bit late this year but successfully replaced Debjit Majumder and Prabir Das with Soram Poirei and Chesterpaul Lyngdoh who join the club from DSK Shivajians and Churchill Brothers respectively. They have already secured their three foreign players for the upcoming Calcutta Football League in Kamo Bayi, Eze Kingsley and Ansumana Kromah – all three had successful outings in the last edition of the I-League. The Mariners have also signed a handful of potential first teamers such as Pravat Lakra, Surajit Shil, Abhijit Bagui, Riki Lalalmawma, Haokip and Wasim Akram Mollick who will help the Green and Maroons reach their targets in the upcoming season. With many of the Indian giants targeting and raiding Aizawl FC after the Mizoram-based club won the I-League last season, the Robert Royte-owned club has decided to depend mostly on their academy rather than a buying spree like the big guns. They have promoted several youngsters to the first team but has signed former Aizawl FC captain David Lalrinmuana back from East Bengal and a defender in Chhuantea and a goalkeeper in Lalremruata. 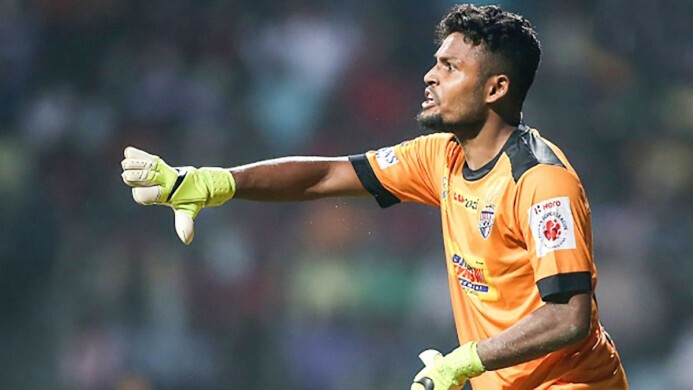 ISL side Atletico De Kolkata have retained prolific goalkeeper Debjit Majumder for this season’s Indian Super League as well as midfielder Prabir Das. Furthermore, the Kolkata franchise could sign former Irish striker Robbie Keane as their marquee signing for the upcoming season, suggests both Irish and Indian newspapers. 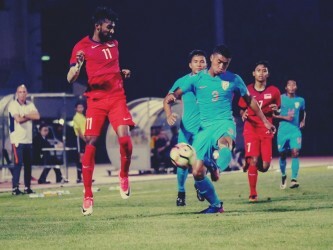 Kerala Blasters has retained two players in CK Vineeth and Sandesh Jhingan and has signed Prasanth Karuthadathkuni as their U-21 player for the upcoming season. Another Indian Super League franchise from South India, Chennaiyin FC, has retained Karanjit Singh and Jeje Lalpekhlua for the upcoming season. The Super Machans has also appointed former Aston Villa manager John Gregory as their new head coach. FC Pune City has retained goalkeeper Vishal Kaith and has signed former North East United striker Emiliano Alfaro for this year’s Indian Super League. Delhi Dynamos have decided to not retain any Indian players but has appointed former Real Madrid midfielder Miguel Portugal as their head coach ahead of the ISL season. The former footballer turned coach has a vast knowledge in coaching as he managed several Real Madrid age groups as well as senior sides of Racing Santander, Cordoba and Atletico Paranaense in the past.